Topology is a branch of mathematics that studies the properties of geometric bodies that remain unchanged by continuous transformations. (In topology the different forms of a figure drawn on an elastic surface that has been either stretched or compressed are equivalent.) This discipline is interested in concepts like proximity and consistency. It compares, classifies and measures, emphasizing attributes such as connectedness, compactness and metrizability, among others. For mathematicians the word topology has two meanings: the informal one is described above, while the formal one refers to a family of determined subsets that fulfill certain rules of union and intersection. 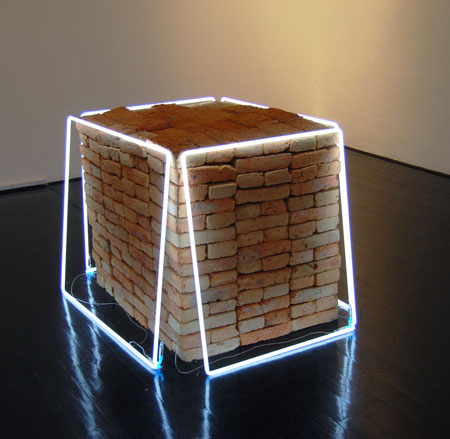 Jose Dávila (Guadalajara, 1974) presents his project Nowhere can be now here (a title taken from the artist Gordon Matta-Clark) as a form of personal topology, as a set of works formed by subsets that have the particularity of relating to each other, generating identifications, derivations and oppositions. His proposal responds to personal concerns with the achievements and failures of architecture, with utopias and discoveries, as well as with perception and mental games, and it is presented from a subjective point of view as a sort of temporary conclusion to some of the constant concerns of his work, such as the relationship between space and place, the combination of movement and static forms, the infinite reproducibility of modular forms and the functionality of built space. French psychoanalyst Jacques Lacan described extimacy as the twist by which the intimate passes to the exterior and vice versa. With this project, Dávila provides a place for this experience, taking this relationship of subsets to form a external surface with intimate folds. 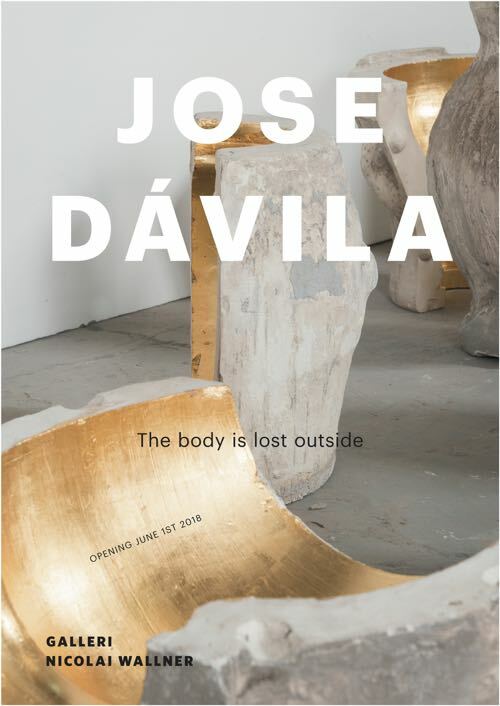 Dávila has participated in group and solo exhibitions both in Mexico and abroad since 1996, in galleries and institutions such as PS1-MoMA in New York, Kunstwerke in Berlin, the San Diego Art Museum, the Centro de Arte Reina Sofia in Madrid, the Prague Biennial, the Miami Art Museum, the San Juan Biennial in Puerto Rico, Camden Arts Centre in London, IVAM in Valencia, the Third Biennial of Architecture in Chile, Brogovico 33 in Lago de Como, the Musée de Art Moderne in Saint-Etiene, Studio Dabbeni in Lugano, Travesía Cuatro in Madrid, the Colección Jumex, Carrillo Gil, Museo de Arte Moderno, El Eco and MUNAL in Mexico, among others. He has been awarded the FONCA national scholarship for young creators in 2000-2001, FECA 2004-2005, the annual invitational residency at Kunstwerke in Berlin and support from the Andy Warhol Foundation for the residency at the Camden Arts Centre in London. His work appears in internatinal catalogs such as ‘Cream 3’ (Phaidon), ‘100 Latin American artists’ (Exit), and ‘Megastructures reloaded’ (Hatje Cantz), among others. Jose Dávila is also co-director and co-founder of the Office for Art Projects (OPA) in Guadalajara, Jalisco.